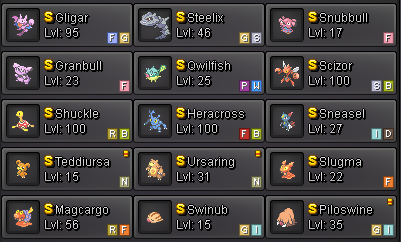 Collection started on June 2017. 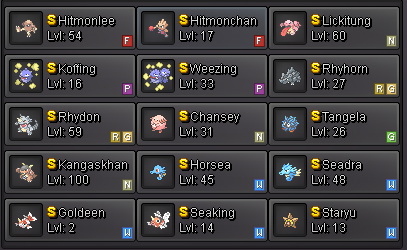 Server : Silver (Blue server before the merge). 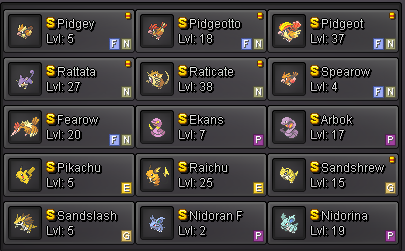 Gen1 and Gen2 are for me the 2 best pokemon generations. 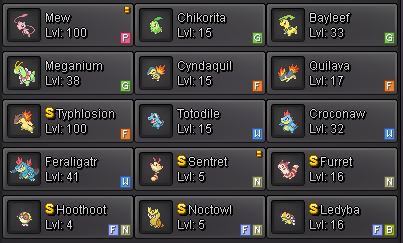 The Gen1 has 5 uncatchable shiny lengendaries which explain the use of 146 instead of 151. 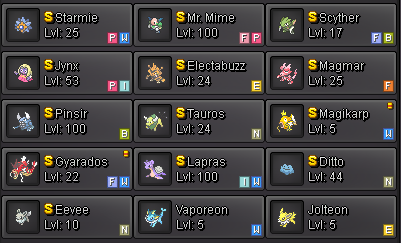 The Gen2 has 6 uncatchable shiny legendaries which explain the use of 94 instead of 100. 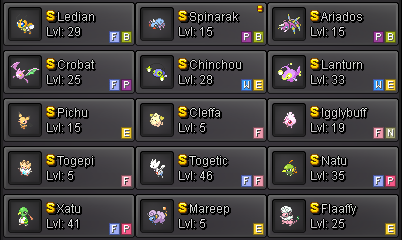 I've added icons of uncatchable legendaries on screenshots to make it more understandable. 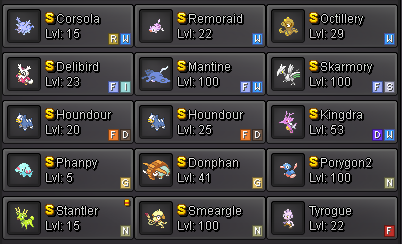 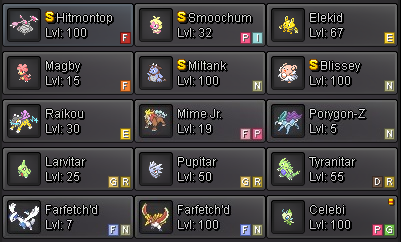 I didn't evolve yet marill/houndoom but will be done soon. 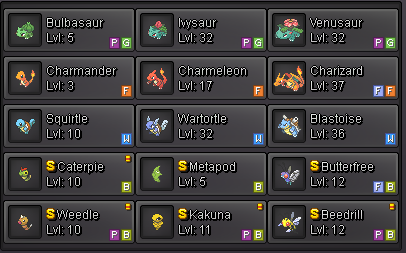 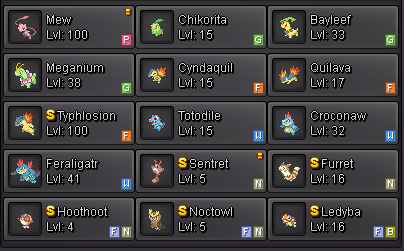 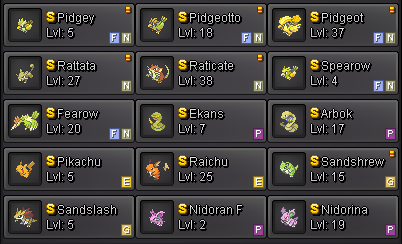 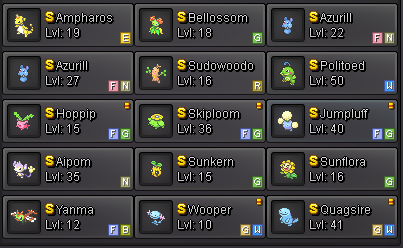 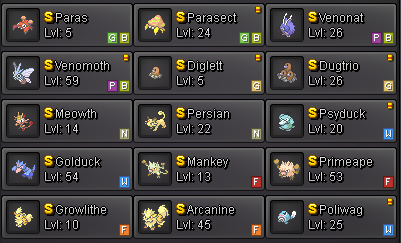 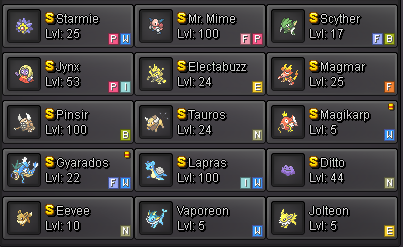 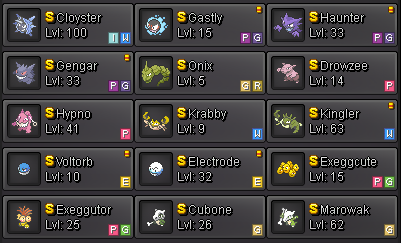 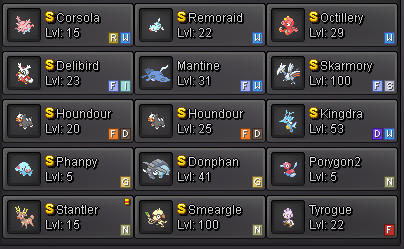 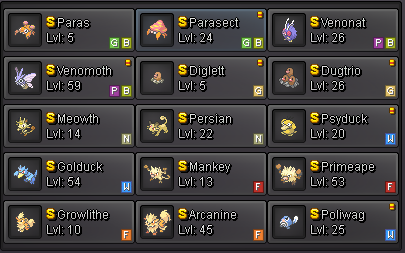 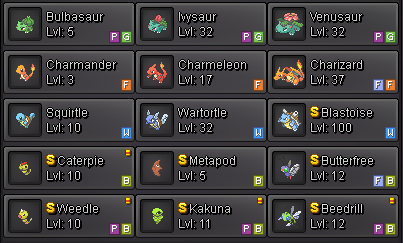 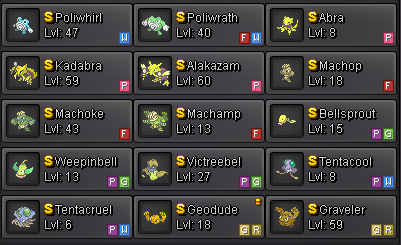 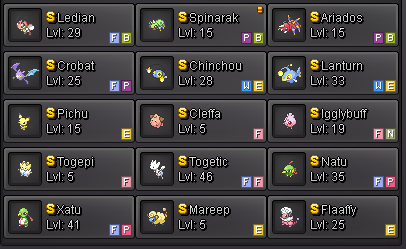 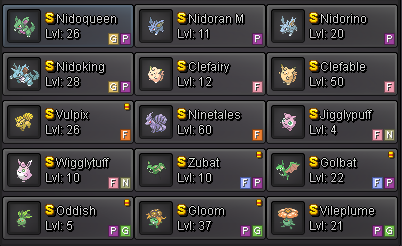 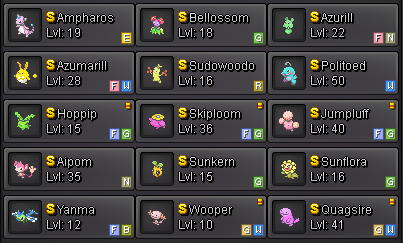 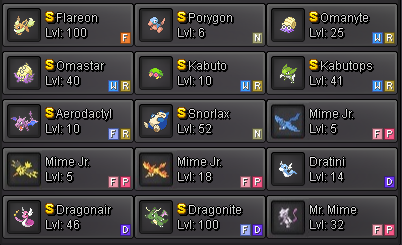 All pokemon with attached items on pictures are OT. 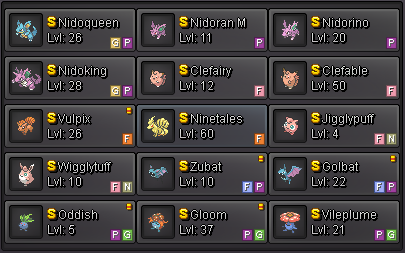 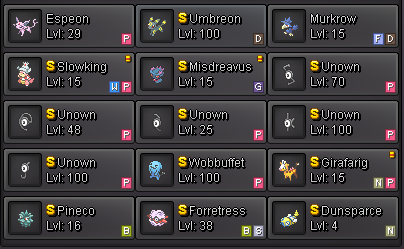 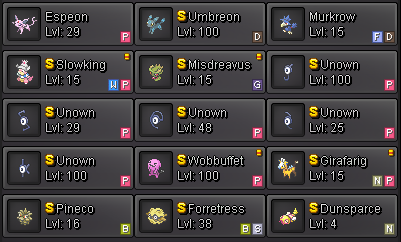 I've counted Unown as 1 but I still collect all the different forms of Unown. 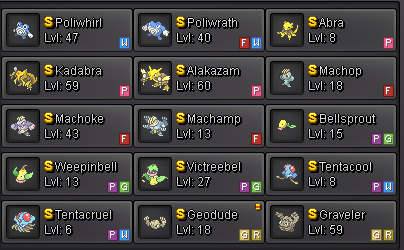 In addition of that, I try to get the most low level possible poke for the collect. 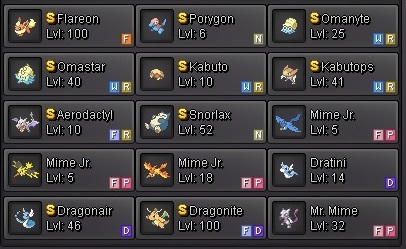 It's much more difficult to get a fresh caught than a lvl100. 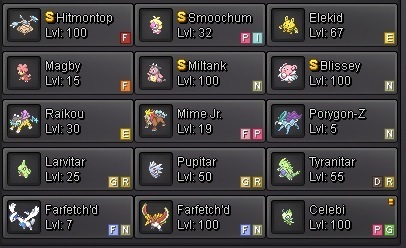 If you wanna help me to get the last ones that are missing, look at this topic : here. 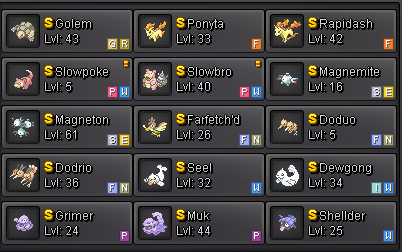 This is a MasterClass of a collection and I applaud the effort. 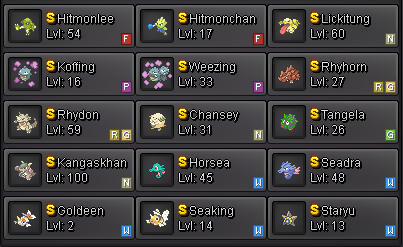 Great job Rharomy. 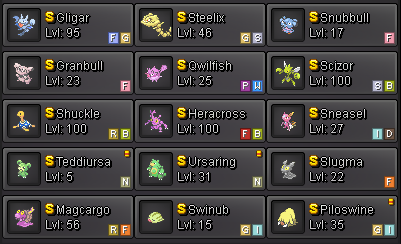 How did you catch those none catch able legendary pokes? 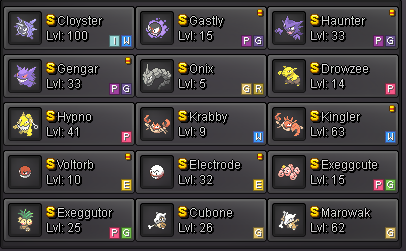 I've just used photoshop to add icons of uncatchable legendaries. 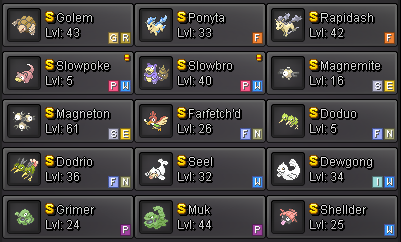 It's just to make it more understanble about the full poke generation.